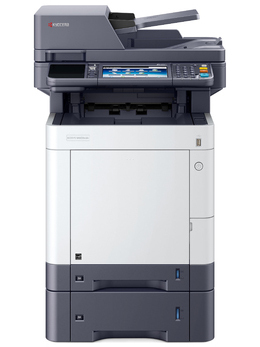 At speeds up to 32 ppm, the ECOSYS M6630cidn, Color MFP, combines impressive performance with advanced features, all in a compact footprint. This robust solution is designed for ease of use, and offers a large paper capacity (up to 1,850 sheets), exceptional business color and more. On-The-Go mobile print/scan and the capability to run HyPAS Business Applications take document workflows to the next level. Its long life consumables and low total cost of ownership make it the affordable smart choice to drive your business needs.